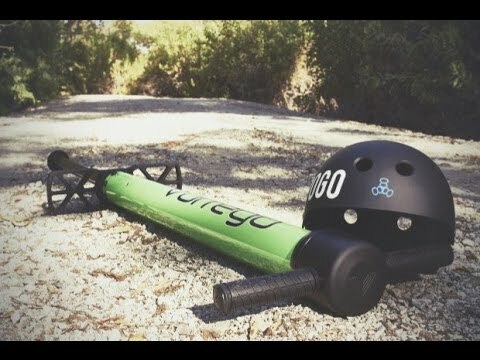 Vurtego V4 Pro Adult Pogo Stick Unboxing And Showing Some Of What It Can Do! Smoothness – the ride just can’t be compared to sticks with metal springs, it’s so much smoother and quieter, you feel like bouncing on a cloud. And it’s also more gentle on your knees. 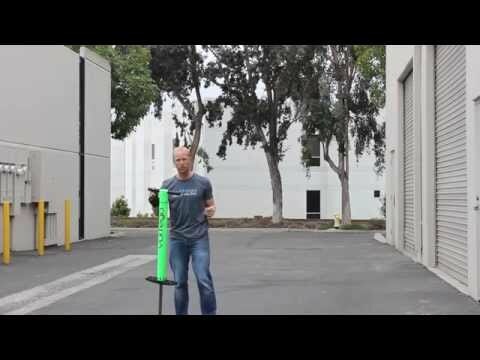 Power – it’s a professional pogo stick, nothing less. Experienced riders are able to jump over objects even 6 or 7 feet tall and the maximum is about 10 feet according to the manufacturer! That presents many unique opportunities, for example a parkour-like style when you ride across town, clear objects that are inaccessible by normal jumping, bikes or skateboards and add some pogo tricks as well (see the video above). Riding such a beast is a great fun – and also a good workout and balance training. 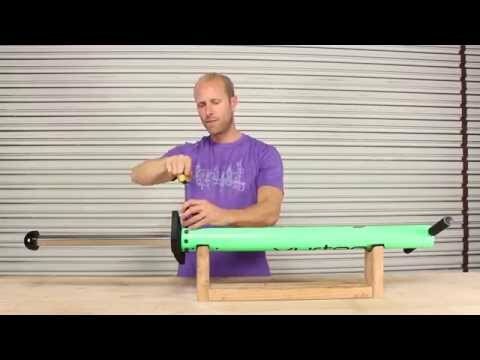 Changing the air pressure – users love this feature, it makes the stick really versatile – for example you set the pressure low when you just want to bounce around and enjoy the ride or if you are still learning how to jump. And for those powerful jumps and tricks you just pump it up (quick and easy to do). Plus it makes the V4 perfect for almost everyone, 80 pound kid or 200 pound adult – you just select the size according to your height (see the picture below) and then set the air pressure to match your weight. On the other hand, there are also two disadvantages: higher price and the necessity of a little maintenance (see the videos above) – fortunately it doesn’t take a lot of time, you can think of it like keeping you bike riding smoothly by cleaning and oiling the chain. The second reason for that higher price is the build quality – the aluminum frame is extremely durable and withstands all hard falls on asphalt or concrete during trick learning. There are no cheap parts and even if you manage to break something, every piece can be replaced. And it’s even manufactured in USA, not imported from China. Many users also mentioned Vurtego’s great customer service – all emails and questions are answered very fast. There is a number of riders who had been using the V3 in the past and then bought the V4 – and all of them report the V3 had been amazing but V4 got even better. There are many small improvements to make the ride even smoother and add more power, also the tip and foot pegs have been improved to achieve more traction and grip. Conclusion: If you want the best of the best, this is it. 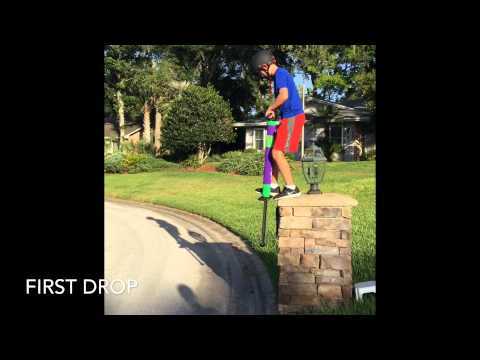 Vurtego V4 Pro pogo stick offers extra smooth ride, great power for really high jumps and tricks and top notch build quality and durability. Also thanks to the air pressure regulation it’s suitable for both adults and older kids. We highly recommend it. On the other hand, it isn’t cheap at all – so if you don’t want to spend a lot of money, Flybar Super Pogo is a good alternative for adults and tricks.